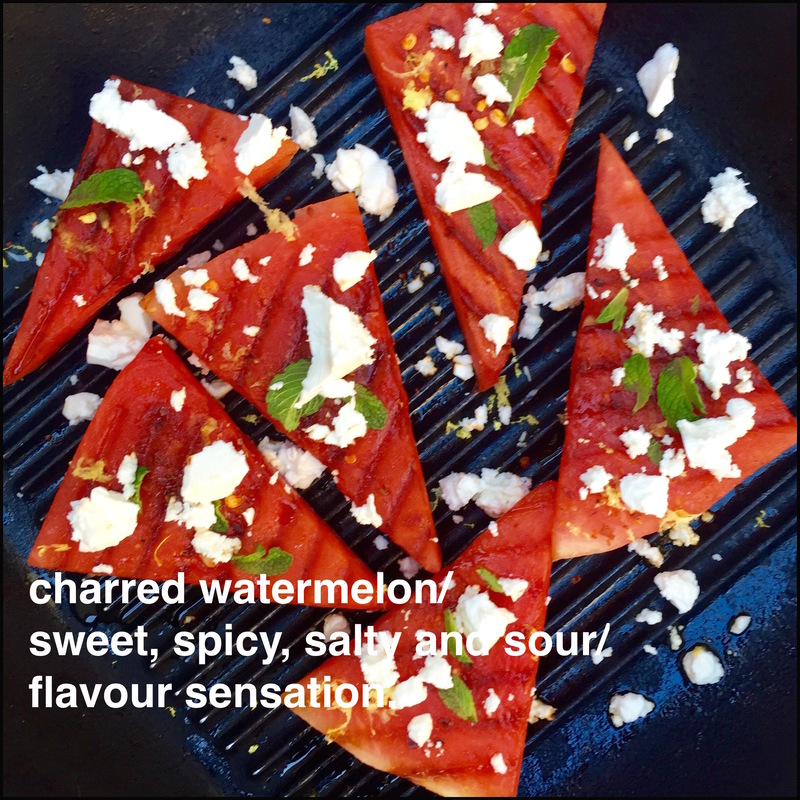 This entry was posted in What I Love to Cook and tagged 5-2 Diet, BBQ, Chilli, Feta, Gluten free, Grill, Lime, Mint, Salad, Spring, Watermelon. Bookmark the permalink. 4 Responses to Eat, Fast and Live Longer. A 5-2 Fast Day Recipe Idea Under 200 Calories. Charred Watermelon With Chilli, Lime, Mint and Feta. The title intrigued me. It sounds interesting enough to be thoroughly delicious. Last summer I practically lived on a fast day salad of hot grilled haloumi cheese paired with chilled watermelon – this idea is almost the same but opposite; hot charred melon with a cool feta crumble. They’re both delicious.